In Hays’ The Crisis of Humanity, The Dissolution of the Object, Hay’s exemplifies Mie’s skyscraper proposal as examples of “humanist conceptions of formal rationality and self-creating subjectivity” that cannot cope with the irrationality of actual experience. He goes further by saying that the current trending of anti-humanist thought, in architecture, has relegated society into a “crisis” in which the critical separations between the architectural form and context is constantly being blurred and erased. Chaos, if you will, is the collection of various fragments of true reality. In essence, the struggle is between the subject and the object. Whereas before, the subject, in many ways, dictated how the object came to be, now we see the object as becoming it’s own referent: a sign and signal. However, from a holistic point of view, isn’t that how cities are formed? Urban metropolises are no more than a giant man made object out of a field of objects itself. Rossi argues that, through the process of time, the city is comprised of individual and collective “artifacts”. The existence and perpetuation of a city evolves from the very essence of monumental designs. City Hall, convention centers, transportation hubs, urban parks, etc. are all singular elements that have their own experiential and temporal-physical quality that makes a city so great. Inherently all architecture has the potential to have some impact within the urban, but whereas some spaces/form become isolated over time, Rossi argues some monuments have the capacity to become major catalysts of city growth. These artifacts help not only architects, but also the average-joe to perceive the city as a whole, but also allow an individual to understand his/her immediate context within the urban fabric system. It’s not just the social, economical, or political forces that constitute a city, but also a set of systems that are overlaid to create complexities. 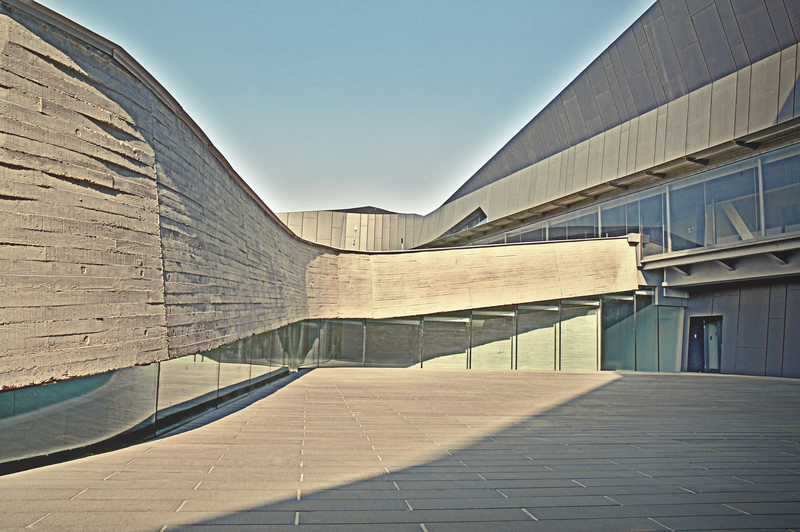 Our recent trip to Morphosis’ Giant Campus project revealed to us the powers of architectural design through systems. Form, space, structure, and a whole series of networks can be simply collated and collapsed to form amazing experiences and interesting juxtapositions that allow for creative program opportunities. In reference to Hilberseimer’s architectural theory, Hays states “architecture substitutes an image of a situation whose simulation makes it possible, collapsing the complexity network of colliding forces in which architecture originates in order to present us with a self generating model that obeys only its own logic”. This can be analogous with how the urban framework is also experienced. Creating a city requires difference elements and parts, and these parts are interconnected to create continuity at the macro scale. Infrastructure, zoning, sewage, etc. are all interweaved to allow for what we call, the narrative and the everyday. The fact that we can simply walk down a major bustling shopping center in Shanghai and turn into a side street, only to be overwhelmed by a maze of grimy residences and alleyways is powerfully intriguing as an experience/memory of place. Rossi also argues that specialized zones are common characteristics of a city, and they naturally possess a sense of autonomy within the whole system. Places like Lujiazui, Xintiandi, and Xujiahui become “destinations”, not merely just stops along the subway line. Can a city have a form? How can we derive the context of these “artifacts” out of an ever-changing urban system whose conditions are created by the collective understanding of various experiences? We can never grasp or physically epitomize the true essence of any urban center because there are simply too many variables unaccounted for. Ultimately, the phenomenon of urban elements/objects and spatial systems have the potential to evolve the city, over time, and affect the physicality and functionality of the city and its parts.